Spring décor inspiration (part 2) plus Bloggy Progressive Dinner starts TODAY! First off, let me announce today is the DAY! Our Bloggy Progressive Dinner is happening all this week! Kristi over at Living Unbound has our first part of our Bloggy Progressive dinner – a yummy, spring/summer drink. So head over there to check it out! and I will end it all on Friday with dessert! Now, last week I shared a bunch of inspiration for spring mantels. If you missed the Spring mantel inspiration post you can check it out here and my Spring mantel decorated with lots of yard sale finds is posted here. But I also wanted to share some other spring inspiration pictures with you today – wreaths, table décor, centerpieces, crafts, and more! 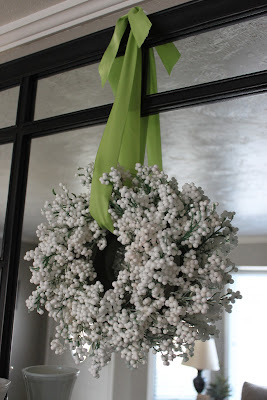 I have always wanted to make this white berry wreath. It could work for winter or spring! And it is made from berry sprays from the Dollar store. 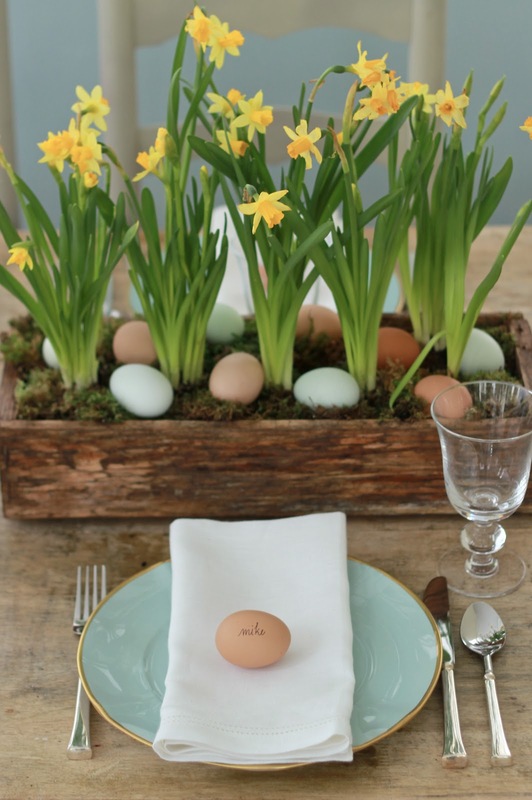 Here’s a beautiful simple tablescape using much of nature made by Jenny Steffens. 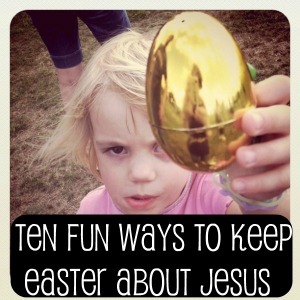 And this post by We Are That Family has some great tips on focusing on Christ in Easter. Mail some Easter eggs to your kids or grandkids. How fun would it be to open the mailbox and find these! Making Memories with Your Kids has all the details on how to do it and cost. Spring is nature’s way of saying Let’s Party by Landee see, Landee do. 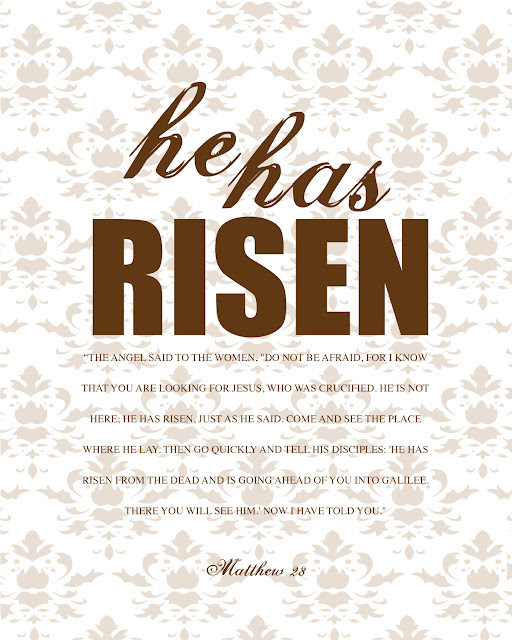 I have this Easter subway print by Antsi Pants on my Spring mantel. 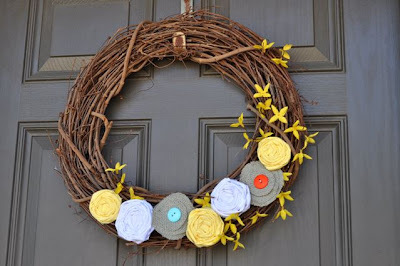 So there you go, lots of Easter and Spring wreaths and other décor inspiration. Check out my Spring Pinterest board for even more ideas! Thank you for featuring my tulip basket. Love your blog!! you are welcome! It is adorable! Love this collection of spring!! Beautiful blog…glad to have found you on the Haven Conference list! I’m going too! !